With the cold wind and sporadic snow flurries happening outside, it’s hard to believe we just celebrated Easter – a holiday that calls to mind images of baby animals, green grass, and new growth. However, the calendar doesn’t lie and April really is here. So, while there may not be buds on our trees or flowers poking exploratory shoots out of the ground, we’re well on our way to those treasured days when we can read out in the garden, and maybe even fall asleep in our favourite hammock…with our book on our face, of course! 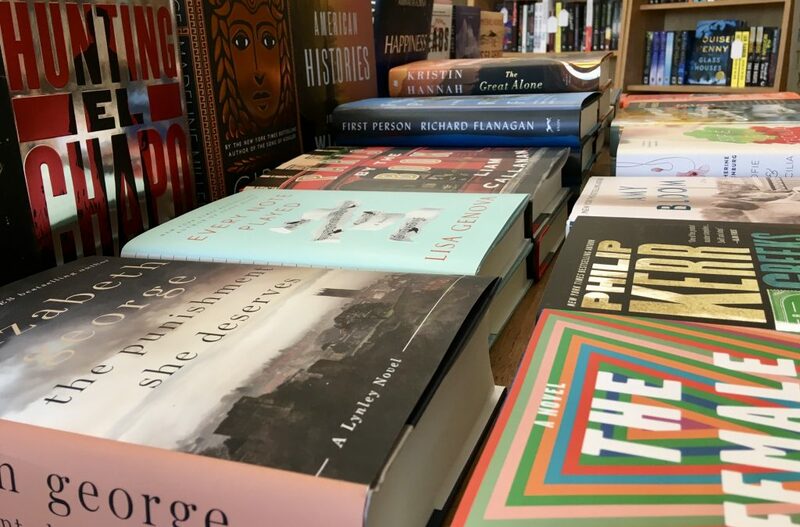 Thankfully, book releases are never affected by unseasonable weather, so despite it not being spring-like outside, all the lovely new spring books are still arriving here in the store and there’s quite a bit to be excited about. Picking up the plot threads from his intriguing and mysterious novel about London’s Great Fire, The Ashes of London, Andrew Taylor has penned us another treasure in The Fire Court. Set right on the heels of its predecessor, this new story finds Cat Lovett and James Marwood working together yet again to solve another mysterious crime as the newly appointed Fire Court attempts to get to the bottom of the Great Fire itself. The Good Liar by Catherine McKenzie (a favourite author of ours) is a new thriller that we just can’t get enough of! Centred around a devastating explosion and an unlikely reunion, this novel is full of suspicious characters, dangerous secrets, and well-crafted lies that will keep you guessing (and reading) well into the night. A true booklover’s book, Liam Callahan‘s Paris by the Book is a charming story about family, books, and Paris. With a bit of mystery sprinkled throughout, the only thing better might be an actual trip to Paris! (N.B. “Actual trip to Paris” sold separately.) If ancient Greece is more your speed, then Circe by Madeline Miller is the book for you! After the enormous success of her debut novel, The Song of Achilles (it won the 2012 Orange Prize for Fiction), fans have been eagerly awaiting this return to the birthplace of myth and magic. As a reimagining of the life of Circe, the formidable sorceress from Homer‘s The Odyssey, this novel sets its roots in the powerful and dangerous halls of the Greek Gods and introduces readers to the amazing and intoxicating life of a powerful woman trying to find her place in a world ruled by men and monsters set on her destruction. Marinating in Murder by local mystery author Linda Wiken is the third book in her charming Dinner Club Mystery series. When your dinner club is planning a picnic, finding a dead body in the back of an SUV is the last thing you expect – especially when that body belongs to the ex-husband of a police officer. Not only can you buy a copy of this great book in the store now and find out whodunnit, but on Sunday, April 15, you can meet the author! 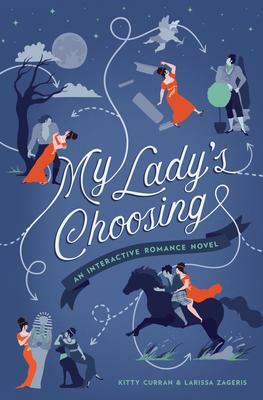 Linda will be here between 3:00pm and 5:00pm to chat and sign copies of her new book, as well as books from her previous series The Ashton Corners Book Club. While spring is not a traditionally busy time of year for non-fiction releases, there are still lots of gems to be had for book lovers who prefer having a little more realism on their nightstands. Arguably one of the most influential and successful kings in history, Alexander the Great, during his short, war-filled life, amassed an incredible fortune of jewels, gold, land, and slaves, all while changing the face of the world in incredible ways. In The Treasures of Alexander the Great by Frank L. Holt, readers will explore Alexander’s life and times through these spoils of war that he collected while creating one of the greatest empires the world has ever seen. Welsh Classical historian, Adrian Goldsworthy introduces us to a famous relic of another great ancient empire in his new book Hadrian’s Wall. Built by the Romans in the fifth century, there are just as many mysteries about this eighty mile long wall as there are facts. Was it really meant to keep the Pictish people in the North where they belonged? What would life have been like for a Roman soldier posted in one of the forts along the wall? Goldsworthy endeavours to answer these questions, and many more, in this archaeological investigation to unravel fact from the legends sealing the very stones on this fascinating ruin from Britain’s colourful past. Never one to be left behind, our children’s section has also welcomed some great new additions to its shelves recently. For the little ones, Bark Park! by Trudy Krisner is an adorable book about all the fun our canine friends can have – and the trouble they can get into – when they visit the park. David Miles‘ story Unicorn (and Horse) explores ideas of friendship and celebrates the ways in which we’re different as well as the ones in which we’re the same. Unicorn has a glorious mane, perfect teeth, and eats cupcakes for breakfast…Horse does not. Though Horse might be a bit jealous of all the things that Unicorn has, when his horned companion gets kidnapped in the middle of the night, Horse is the only one who can save him. This story is great for any kids who loved A Horse Named Steve by Kelly Collier and Not Quite Narwhal by Jessie Sima. A Couch for Llama by Leah Gilbert is destined to become a bedtime classic! Sweet and charming, this book tells the story of a family who buy a new couch, but lose it from the top of their car on the way home. When it lands squarely in a roadside pasture. What follows is a hilarious game of trial and error as the pasture’s resident llama tries to makes sense of his new red-cushioned companion. If you have a child at home who is chomping at the bit for the next Rick Riordan book (the third book in the Trials of Apollo series is due to arrive May 1), but can’t wait until next month, we have a solution for you! Continuing in the same vein as Percy Jackson and the Olympians and Magnus Chase and the Gods of Asgard, Aru Shah and the End of Time by Roshani Chokshi is the first in a new fantasy series from a new imprint, Rick Riordan Presents. Twelve-year-old Aru Shah has been known to exaggerate her stories sometimes in order to fit in with the other kids at school, but when a few of her classmates try to catch her in a lie, she’s plunged into a world of Indian deities and an adventure that will change her life. From Jesse Andrews, the author of Me and Earl and the Dying Girl, comes a brand new teen novel that is at once funny and thought-provoking. Munmun is set in a world very similar to our own, but with one major difference – the amount of money you have determines your physical size. When you’re littlepoor and smaller than a common rat, it’s not just the trials and tribulations of daily life that you have to worry about, but the very real danger of being stepped on or attacked by anything bigger than you. So when their house gets crushed, Warner and his sister Prayer must battle against all the odds to somehow earn more munmun and grow their way out of daily danger. Well known for her science fiction books for kids and teens, Margaret Peterson Haddix has now added contemporary teen novel to her repertoire with The Summer of Broken Things. Featuring a summer trip to Spain, some strange travel companions, and family secrets just waiting to be unveiled, this book is a perfect spring (or summer) read for fans of Sarah Dessen, Morgan Matson, and Kim Culbertson. Unfortunately, our newsletter is only so long, and there are so many other new and forthcoming releases to discover and enjoy! Here are some of the ones we’re most excited about: Emergency Contact by Mary H. K. Choi, Tangerineby Christine Mangan, The Punishment She Deserves by Elizabeth George, The Temptation of Forgiveness by Donna Leon, Conviction by Kelly Loy Gilbert, Macbeth by Jo Nesbo (April 10), Master of Persuasion: Brian Mulroney’s Global Legacy by Fen Osler Hampson (April 10), Moon by Alison Oliver (April 10), Vi by Kim Thuy (April 10), The Home for Unwanted Girls by Joanna Goodman (April 17), The Boy on the Beach by Tima Kurdi (April 17), Belleweather by Susanna Kearsley (April 24), When We Were Birds by Maria Mutch (April 24), Full Disclosure by Beverley McLachlin (May 1), Love and Ruin by Paula McLain (May 1), The Game of Hope by Sandra Gulland(May 1). Not to drive the metaphor home too hard, but spending time in the store over the last couple of weeks really has felt like watching a garden bloom. With bright new books arriving every day, getting that springy feeling inside is especially nice this year given what’s been going on outside. Thankfully though, despite the fact that there are a few groundhogs out there that have a lot to answer for, as book lovers we have the ultimate escape available to us. So, escape the chilly weather and pay us a visit to find solace inside our walls lined with great novels and riveting non-fiction.